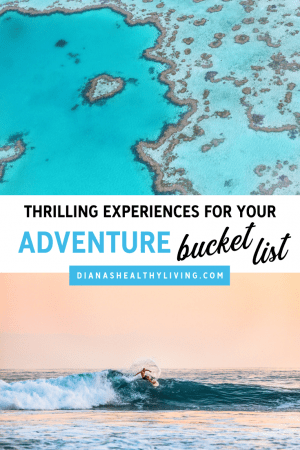 In all my recent travels, my husband and I find ourselves looking for more adventure activities wherever we travel. 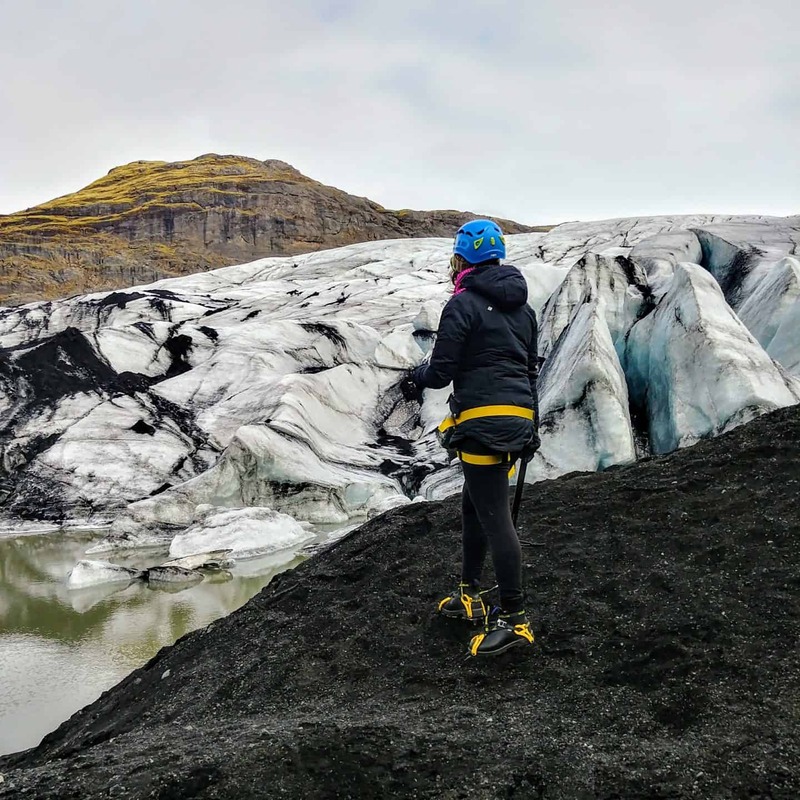 We never thought that we would ever be on an adventurous journey and take flight on a hot air balloon ride in Arizona or hike a glacier in Iceland. I collaborated with some other travel writers to list some of the best worldwide travel bucket list adventures. 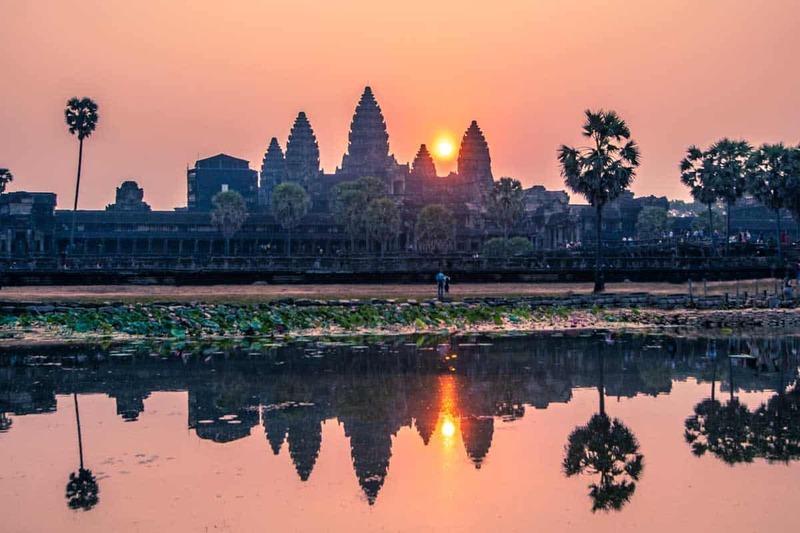 If you are an adventure world traveller looking for some bucket list vacations, then keep reading about these bucket list places to visit on your next adventurous journey. Never in my wildest dreams did I think I would ever be hiking on a glacier in Iceland. 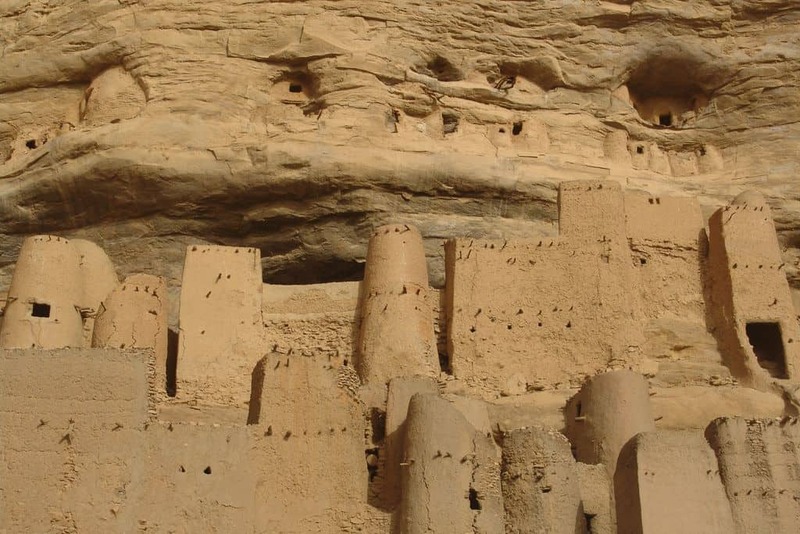 This trip is still one of our most talked about destinations and experiences. This has been one memorable adventurous journey we will not forget. We haven’t experienced anything like glacier hiking in Iceland in March. 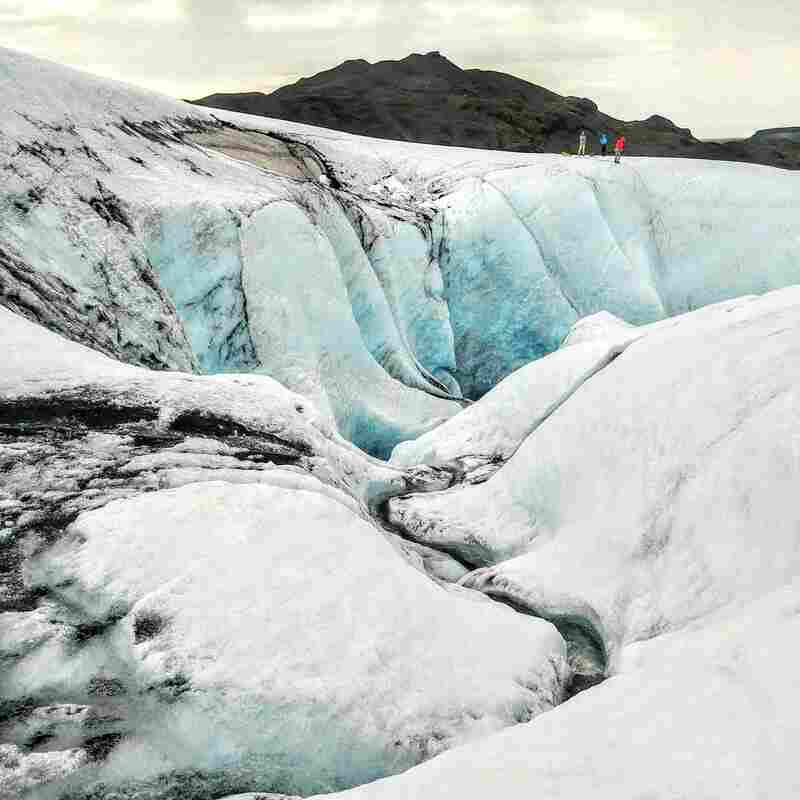 Not many destinations offer hiking up a glacier, but it’s a must do experience in Iceland. We hiked Sólheimajökull glacier with a knowledgable guide who had us safely set up to hike the glacier. This tour also includes stops at some of the most breathtaking Iceland waterfalls as well as the famous black sand beach. Check here for up to date pricing on the tour. Tip: please don’t try to hike this glacier on your own unless you are an experienced hiker with the proper equipment. Dress appropriately in a winter coat, boots, hat and gloves. 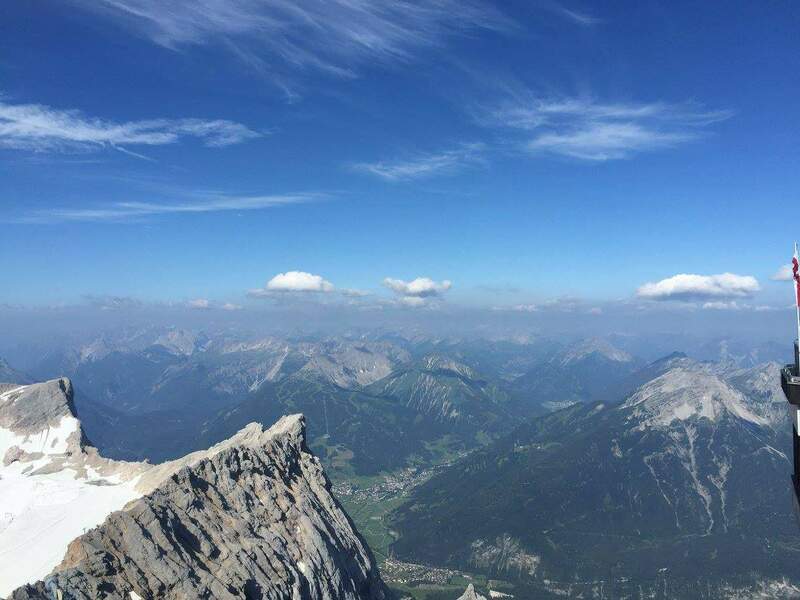 Creating a thorough bucket list of destinations can be difficult, but I strongly recommend Zugspitze if you’re planning on exploring Germany or Austria. Zugspitze is Germanys highest mountain, nestled in the Alps on the German border connecting to Austria. Due to its location, it can be accessed from the German side or Austrian side. The reason why this is such a great place to see is because of the stunning views that are hard to come by elsewhere. 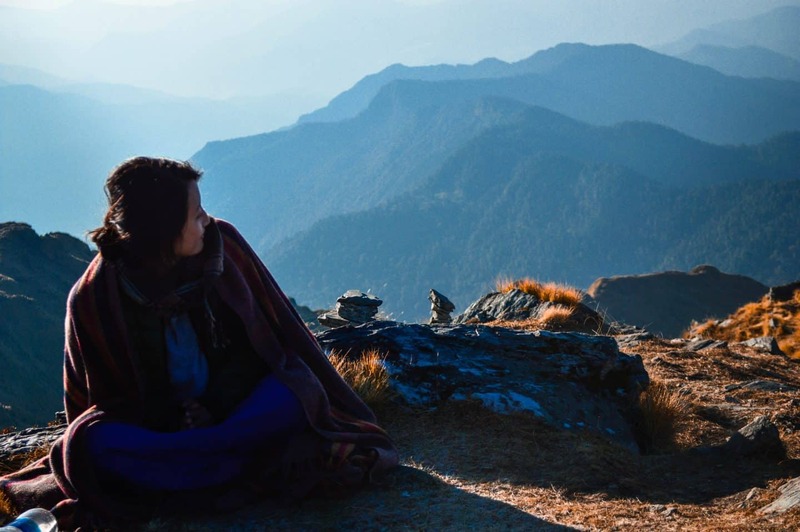 Visitors get to take in a truly remarkable view from the peak of the mountain and what’s most important, is that it’s accessible by anyone, not just hikers. The mountain has cable cars that go from the base of the mountain, all the way to the peak. If you’re not a fan of dangling from a cable car, there is also a nice cozy train ride all the way to the top. 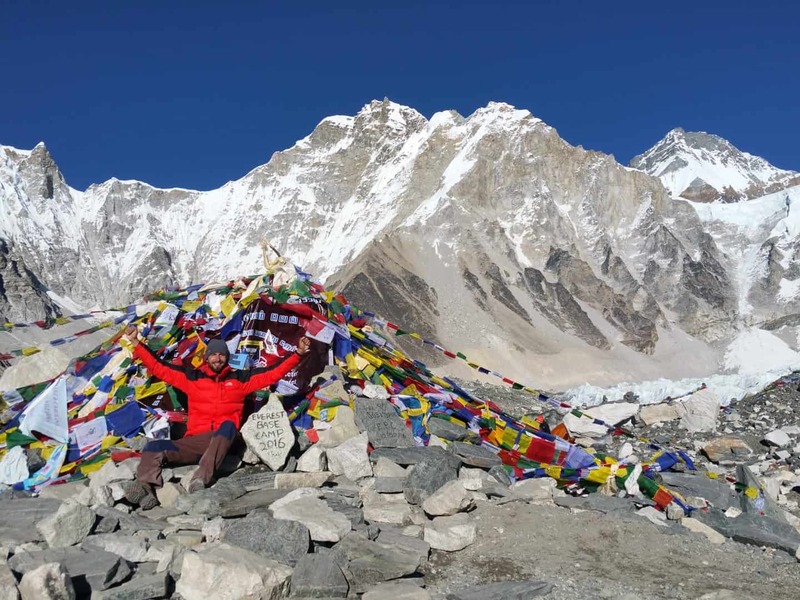 The view is the main attraction of this peak (as it is with most mountain ranges) and getting access to a glorious view of the alps is usually hard to come by without having to trek and hike for hours. But the view isn’t all there is! There are ski and snowboarding slopes on the Austrian side, just short of the peak of the mountain. Adding in the winter fun activities, there are a few restaurants and eateries to relax and truly enjoy the view of the German Alps. Omis in Croatia is a real paradise for adventure lovers. It makes a great day trip from Split, as it is only 30-minutes south of the town. However, there are so many things to do in Omis, that you can easily spend a whole week there. 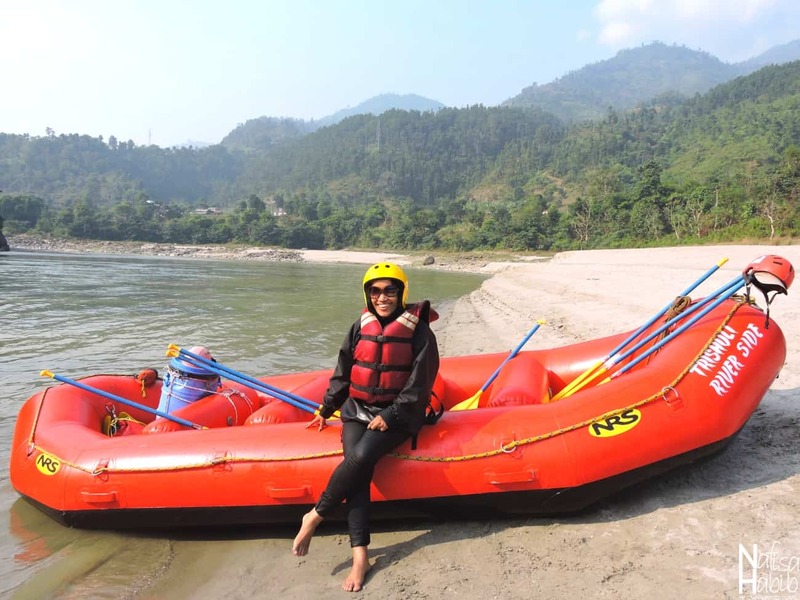 Going on a rafting trip is an absolute must! Not only it is a lot of fun, but you will have some lovely views along the way as you paddle down the Cetina River. The trip also has some canyoning elements, so you will have the chance to do cliff jumping and rope swing into the water. The highlight, however, is exploring a hidden cave, behind a waterfall! It is a really cool experience! Literally! As the water temperature in there is really cold, but the goosebumps are well worth it for the experience! Another way to see the Cetina Canyon is from above. One way to do this is by going zip lining. All 8 zip wires will offer fantastic views to the canyon below you! You should estimate 3 hours for this experience and book ahead, as it is a popular activity and tours tend to fill up quickly in high season! But don’t worry if you miss out on zip lining. You can still enjoy the views from above if you hike up to Starigrad Fortress. The 4 km round trip hike takes about 2 hours. Start early in the hot summer months and then go for a swim at the beach to cool yourself off! Montenegro is one of the best destinations for adventure in Europe and is getting more popular every year. 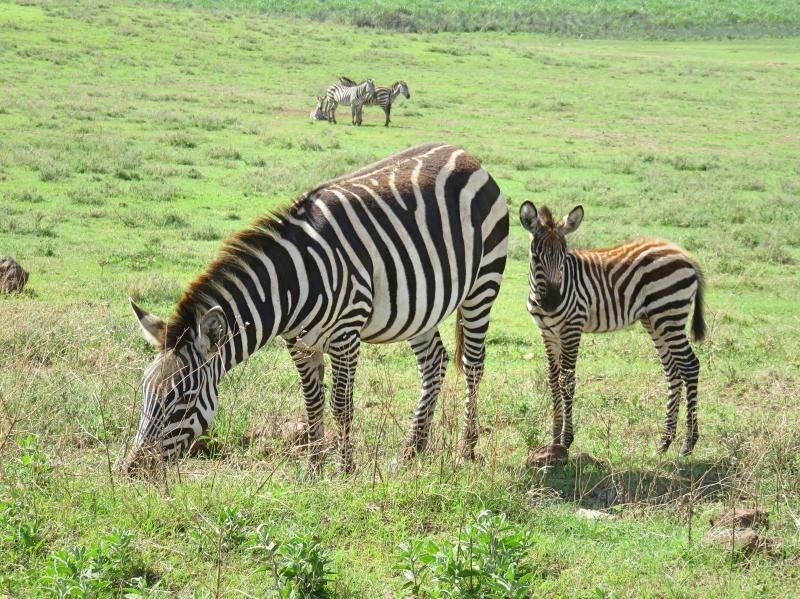 However, most tourists go to the coastal towns for a beach holiday, while the real adventure lies beyond. Montenegro can be translated as the black mountain and certainly lives up to its name. It is a country of mountains with wild nature where beers and wolves still roam around. With some of the best mountain sceneries in Europe, Montenegro is a hikers paradise with plenty of things to do for the adventurous soul. Durmitor National park has the best hiking options. Some easy paths bring you to meadows and lakes, but there are also more difficult trails to mountain peaks with beautiful views. Durmitor is a great place to be if you love nature whether you are a family with kids or a professional hiker. Durmitor is not the only place to go hiking. Montenegro has 5 national parks that all have incredible nature and besides hiking, there are other adventurous activities available. 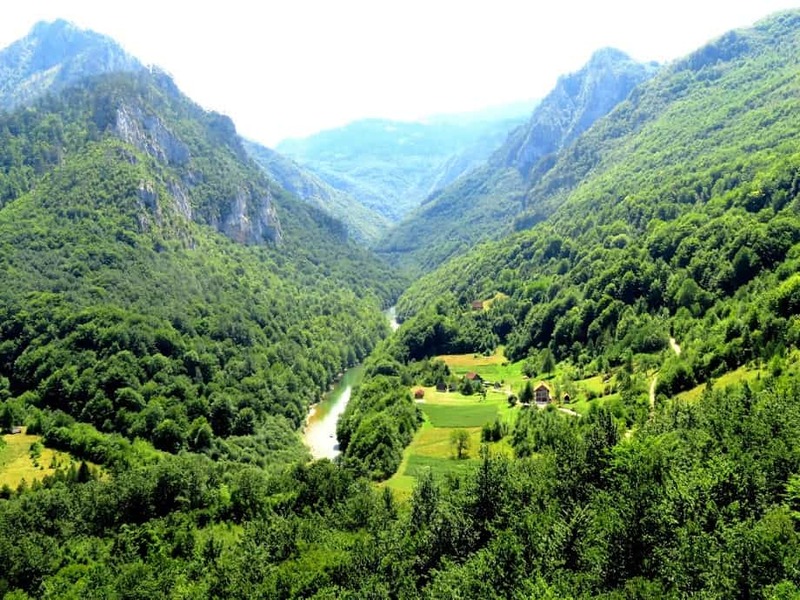 The Tara river gorge is the longest and deepest canyon in Europe where you can go rafting and zip lining. In winter the mountains are perfect for skiing and snowmobiling and imagine hiking through a winter wonderland. There is no shortage of adventurous things to do in Montenegro, whether you visit in summer or winter. If you love nature and adventure Montenegro should be at the top of your bucket list. 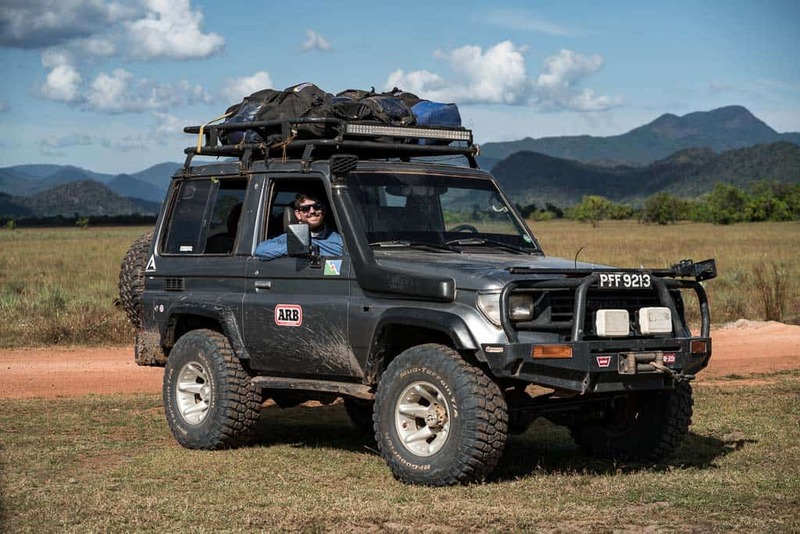 Do you think road tripping is not really adventurous? Then you haven’t probably road tripped through Italy. While Southern Italy is probably even more adventurous, driving in Northern Italy also has its challenges and exciting moments. Northern Italy is extremely mountainous – especially in the Dolomites, in the very northern part, driving can be tricky. The mountain streets are narrow and windy and the Italian drivers are…let´s say, they tend to drive quite fast, love to overtake even on very narrow roads and love driving on two lanes of a streets – which makes it harder for anyone who isn’t used to that kind of driving and those kinds of streets. However, road tripping Northern Italy is still amazing and so much fun – while, I would not mind having less adventure on the streets, there is still loads to do besides driving like the Italians. 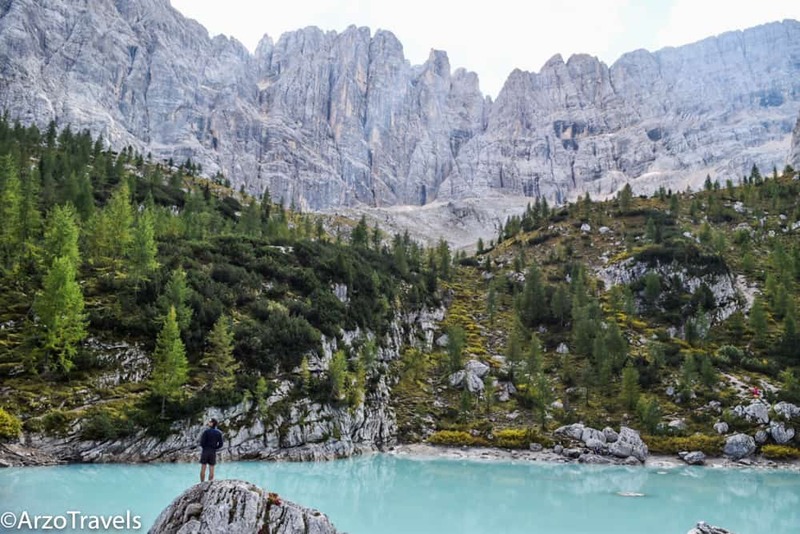 One of the best things to do is hiking: The Dolomites have some pretty amazing hiking paths. Some easier, some more adventurous (like hiking to Lake Sorapis which is absolutely breathtaking). The scenery is one of a kind and probably one the most stunning in the world – if you fancying more adventurous stuff than driving in Italy, then you can climb in the Dolomites, mountain bike, raft- in the winter – ski in the region. Though Northern Italy, with destinations like Milan or Lake Garda, might seem not to be like the best destination for an adventurous trip, you can be sure that Northen Italy holds quite a lot of adventure for you. One of the most incredible places that everyone should add to their bucket list is a road trip through the Faroe Islands. The Faroes is definitely one of the most beautiful places in Europe and it is becoming easier and easier to get to for an affordable price. The scenery in the Faroe Islands is dramatic and otherworldly and it just lends itself to the perfect road trip. You can base yourself at one of the Faroe Islands hotels in Torshavn and drive to anywhere in the islands as a day trip from there. You can head to the northern islands where the scenery is rough and rugged- such as the infamous Kallur Lighthouse hike on Kalsoy or the remoteness of Kunoy. 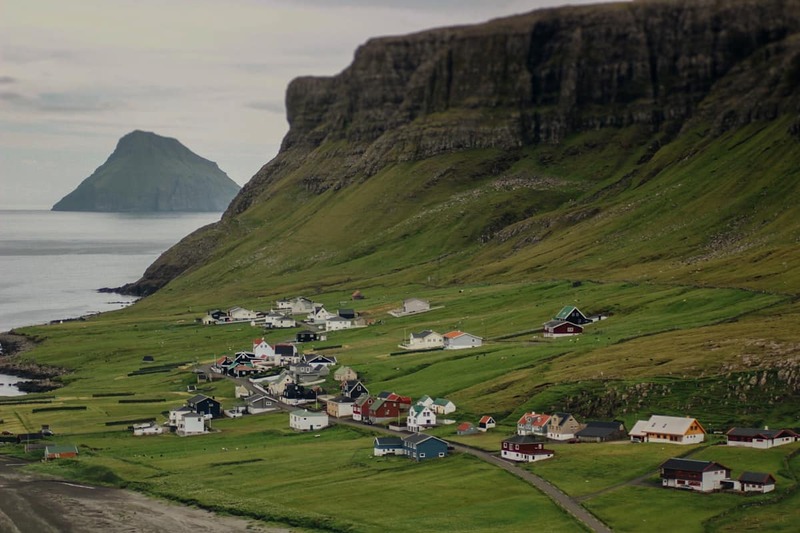 You can circumnavigate Streymoy, the main island and find yourself on the black sand beaches of Tjornuvik or in the charming capital of Torshavn. From there, you can hop back in your car and head to Vagar for waterfalls that flow into the ocean or lakes that give an optical illusion. Every island in the Faroes has something incredible to offer and I highly recommend adding the Faroe Islands to your adventure bucket list. 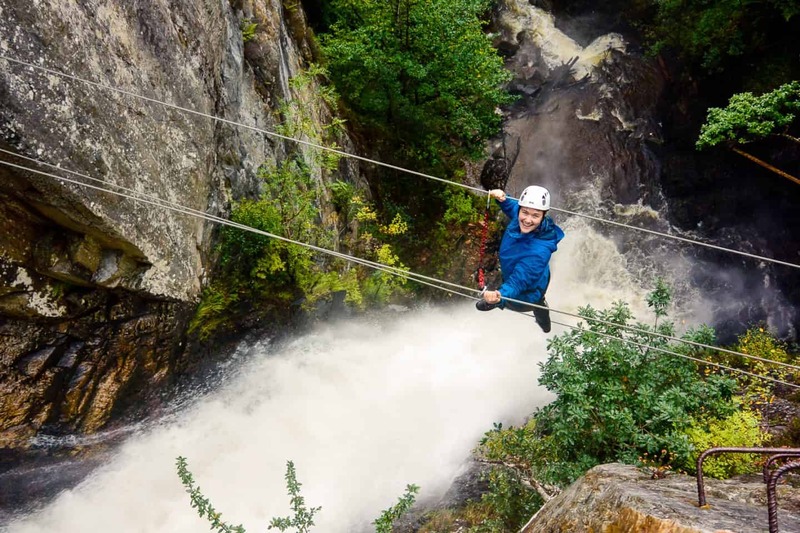 The one and only Via Ferrata in Kinlochleven is a fantastic outdoor activity in Scotland that combines the best of climbing and canyoning. It offers magnificent views, thrilling rides and adventure all together! Via Ferrata means “Iron Path” – a name that comes from the iron steps, handlebars and ladders attached to the rock to make climbing easier and more accessible to beginners. Additionally, you are secured to a steel cable at all times while you climb. It’s completely safe and does not require prior climbing experience, but it is a challenging and adrenaline-filled activity! The Via Ferrata climbs up beside the third-tallest waterfall in Scotland called Grey Mare’s Tail. It is located in the Central Highlands near the iconic valley of Glencoe and from the top, you get fantastic views through the trees over to Loch Leven and the surrounding mountains. The climb begins with a refreshing crossing of the river – and an optional dip in the natural pool under the waterfall. One of the most exciting moments of the tour is the steel-cable crossing high above the waterfall, which drops 90 m – or is it the short zip line over the gully at the end? The route is maintained by Vertical Descents, an adventure outdoor company, and they are the only ones who offer guided tours on the Via Ferrata. Tours last 5 hours and definitely require a good level of fitness. You also have to be comfortable with heights and getting wet! You will be equipped with half-wetsuit, harness, helmet and gloves, and I recommend wearing a quick-dry top, a good rain jacket and sturdy boots. Don’t forget to bring a towel, a spare set of clothes and dry shoes for afterwards! Your guide will take plenty of photos throughout the tour, so you don’t have to risk any of your own equipment getting wet or damaged while climbing. No adventure bucket list is complete without a hike in the beautiful Emerald Isle, a land of tales, rugged mountains, and green-hued landscapes. From the Slieve League Cliffs to Cork, the narrow roads will take you to mystic castles, mountains, and hills. And all of them make up for the perfect scenery while exploring Ireland on foot. Venture on a fantastic day trip to the Cliffs of Moher, and when you reach the O’Brien Tower take in the breathtaking view. Literally. It’s pretty windy at the cliffs, so be sure not to stand to close to the edges. For those who don’t want to travel far away from Dublin, the Wicklow Mountains National Park is a little over an hour from the capital, and totally worth the trip. 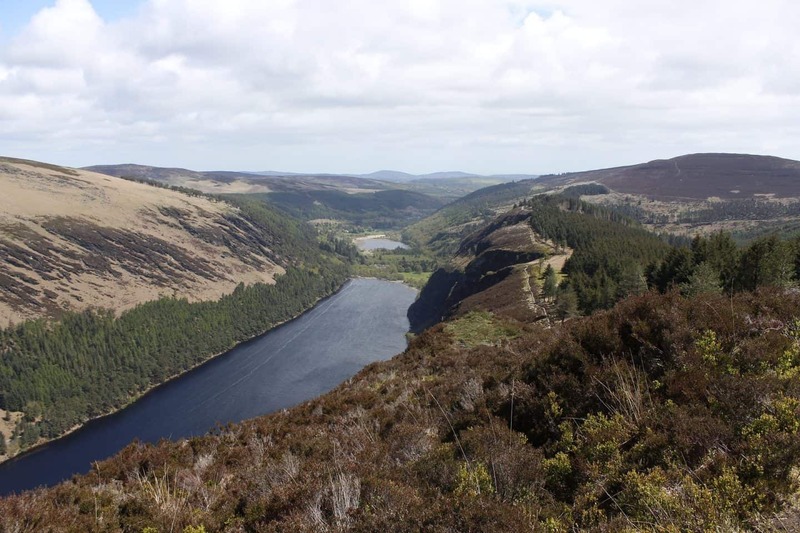 There are nine spectacular hikes in Glendalough Valley, and most of them are relatively easy, so no excuses not go to. However, the most scenic (and oldest) trail in Ireland is the Wicklow Way. A strenuous hike that starts at Marlay park about 6 miles to the south of Dublin and goes 80.7 miles down Wicklow county until its southern border. Hikers take between 4 and 7 days to finish it. For whatever trail you choose, remember to take snacks, water, hiking gears, a waterproof and windproof jacket, and comfortable shoes with you. And to leave nothing behind, but footsteps. The West Coast of Ireland stares into the Atlantic ocean, and the rugged coastline shows the damage over the years. The Wild Atlantic Way is the route that hugs the coastline from North to South for 2500km. The fact that Ireland is less than 500km long from top to bottom will tell you just how winding this route is. The route is incredibly well signposted, you just follow the wavy signposts that are all along the route. 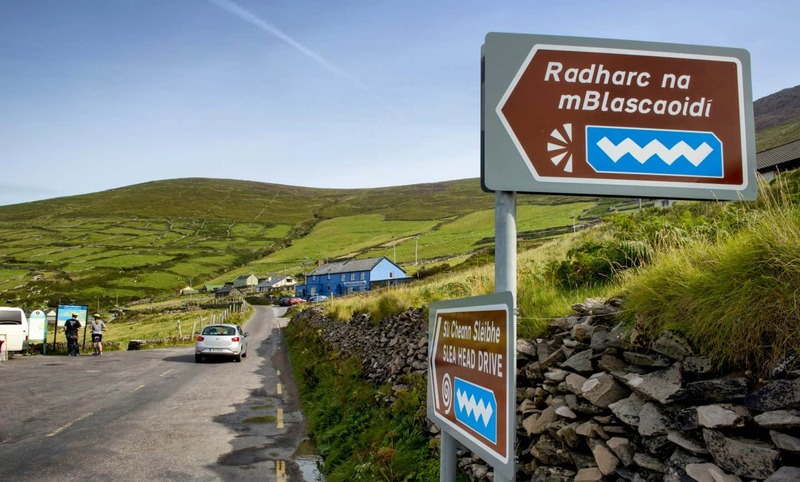 There are really touristy spots like the Cliffs of Moher on the route, but when I cycled through the historic Céide Fields in North Mayo, I didn’t see a single soul. The Wild Atlantic Way lives up to its name, and the weather can change in a heartbeat, but that’s part of the charm. For accommodation, you can do this on a budget or as pricey as you want. 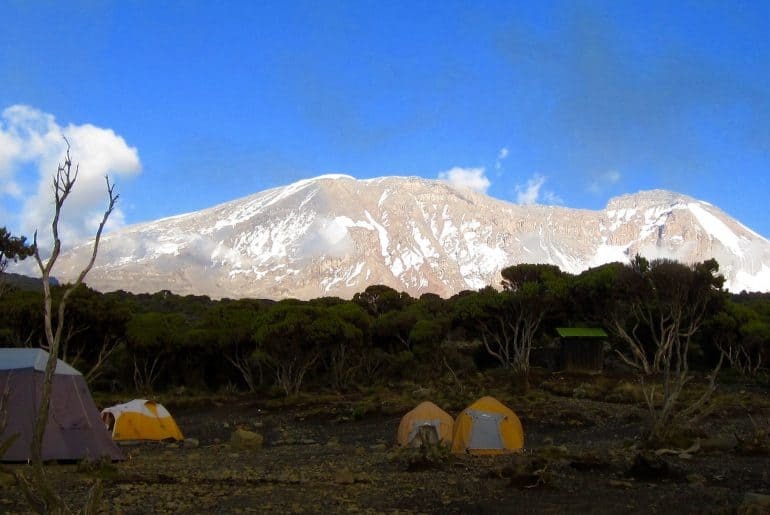 You can choose between camping sites, 5-star hotels, and everything in between. Hostels are plentiful and have the added advantage of a kitchen where you can prepare food for the following day. The main piece of advice I have is to cycle from south to north. The prevailing winds in Ireland mean that if you cycle from the top down, you’ll be fighting the wind most of the way. With the severity of some of the climbs, especially in Kerry, you’ll be thankful for having the wind at your back! 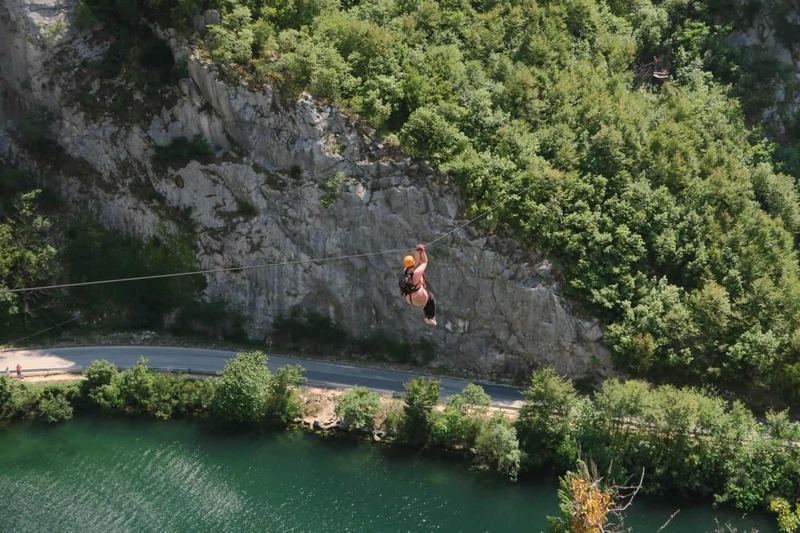 Slovenia is the ideal European country for those looking for a thrill-seeking adventure. The picture-perfect country neighbours Italy, Austria, Hungary and Croatia. Although Slovenia is small in size, it continues to attract visitors from all over the world due to its startling beauty and adventure driven activities. Slovenia is becoming an increasingly popular spot for those travelling Europe by train or bus and is 100% one for any bucket list. Lake Bled is one of the most famous spots in Slovenia, not only does the lake offer an extensive range of activities right on its front doorstep. It is also the getaway destination for those wanting to explore the outstanding beauty of the Julian Alps and 3glav National Park. Some nature highlights close to Bled consist of the Vintgar Gorge, the Emerald River and Bohinj. It the summer months, Bled is the ideal adventure resort, offering phenomenal adventure experiences such as canyoning, paragliding, caving, white water rafting and much more. 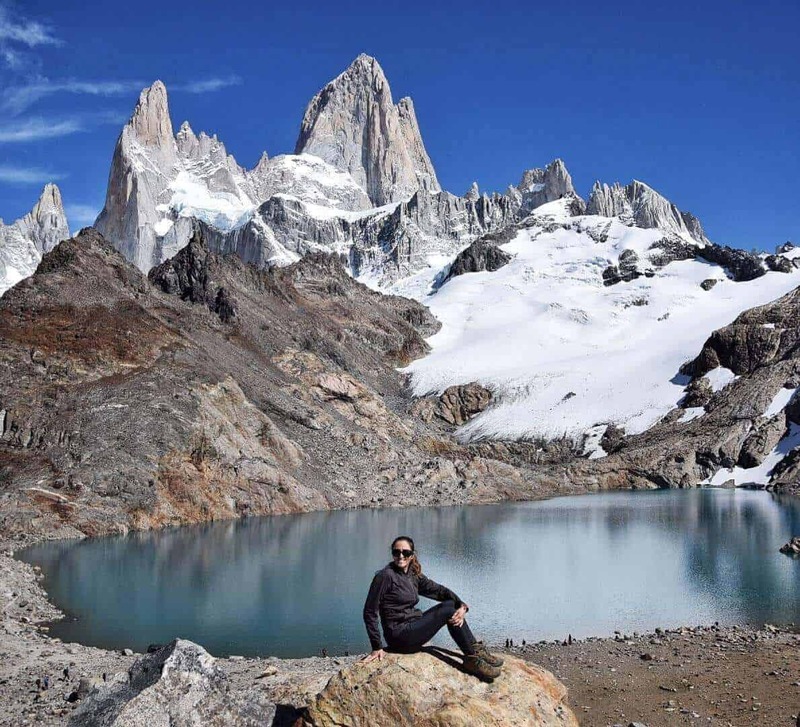 The resort is popular among photographers, outdoor activists and hikers alike. In the winter months, Bled turns into a winter wonderland, offering activities such as skiing, snowshoeing, ice skating and more. 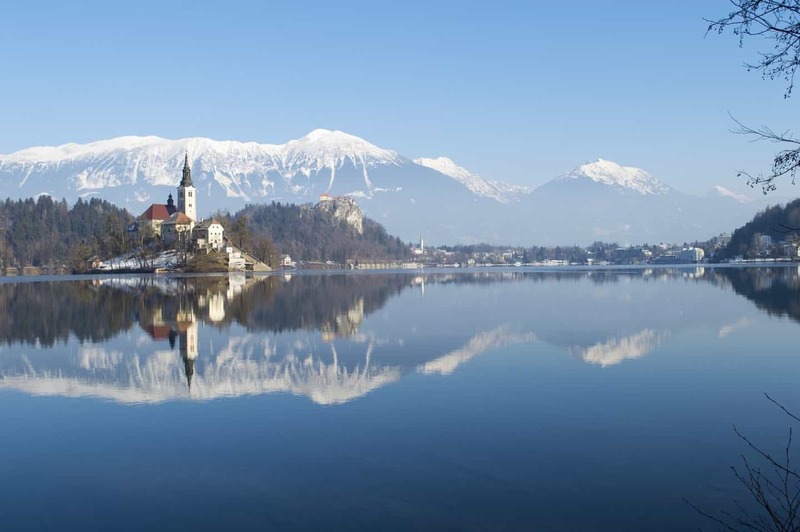 I would recommend Bled to anyone looking to part take in adrenaline run activities, enjoy nature and hike around some of the world’s most amazing alpine beauty. Are you ready for the most amazing hot air balloon ride Arizona that you will ever experience? 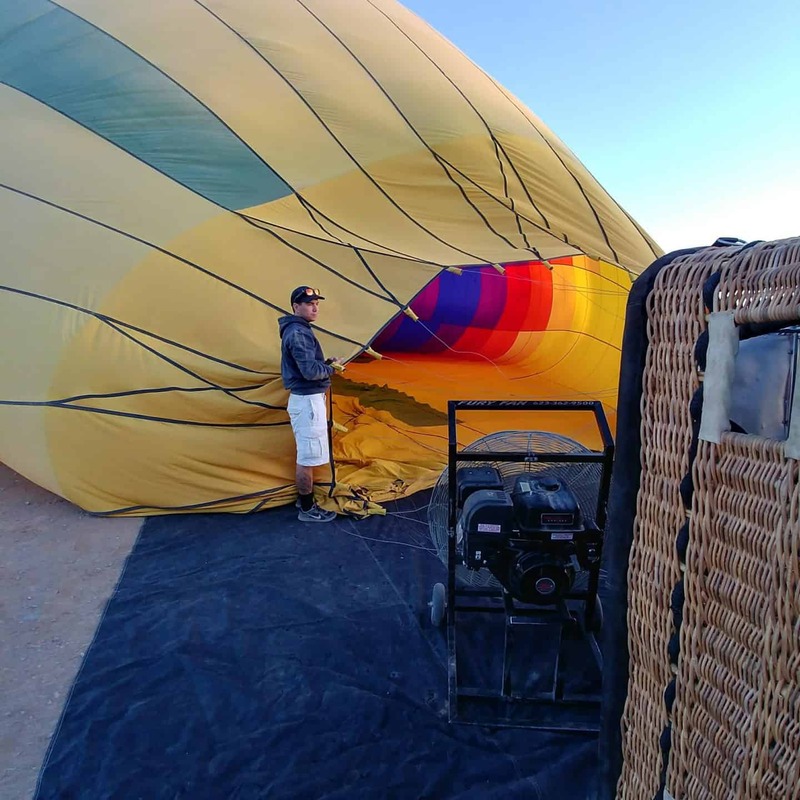 We were lucky to experience a hot air balloon ride Arizona with Hot Air Expeditions. We were first-time ballooners and had no idea what to expect. To be completely honest, we were terrified. After speaking to a few people who have already been, they put me at ease and ensured me that we would love it. This has always been a big bucket list items so I knew we had to do it. In a good bloom year, wildflower displays in California can be astounding. The carpets of colour are so dramatic that they can even be seen from satellites in space! Wildflower displays occur in many parts of the state, and in a super bloom year, chasing the bloom is a fun bucket list adventure activity if you love nature or photography. Some of the earliest vibrant displays can be seen in the desert national parks or state parks in southern California. If you visit Anza-Borrego State Park, Death Valley National Park, Joshua Tree National Park in the spring, you will be awed by the breathtaking displays and come away with tons of great photos. Anza-Borrego and Joshua Tree can be done as convenient day trips from Palm Springs. A little later in the season, the wildflower bloom takes over in large swathes of hillsides and valleys all over southern California. 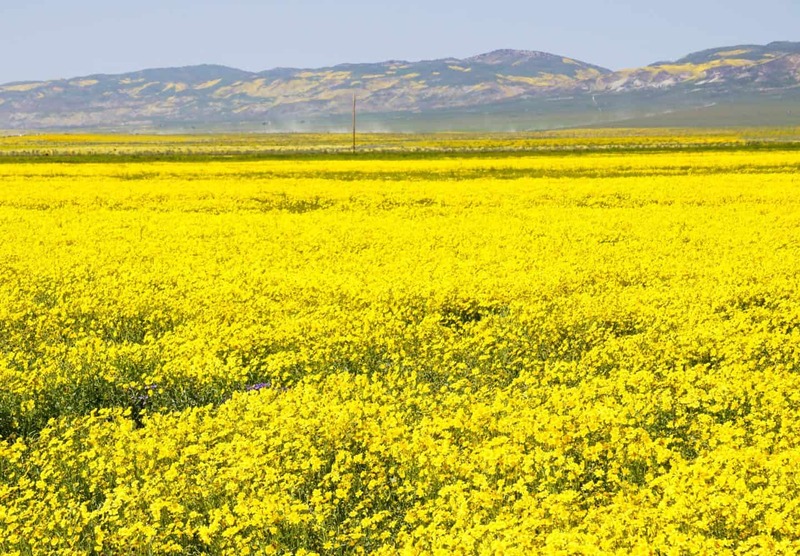 From the Antelope Valley Poppy Preserve, where the bright orange colour brightens up the landscape, to the bright yellows and purples of Carrizo Plain National Monument, you can chase peak bloom all over. Coastal areas such as Big Sur and Half Moon Bay are also good spots to see lots of different kinds of wildflowers, even if the displays are not as dramatic in size. Be warned though: travellers and photographers from all over the world congregate at these spots in great bloom years, so go at non-peak times to avoid the worst of the crowds. A weekday morning is your best chance of being able to enjoy the colour in relative solitude. Never did I think that I would swim with sharks. 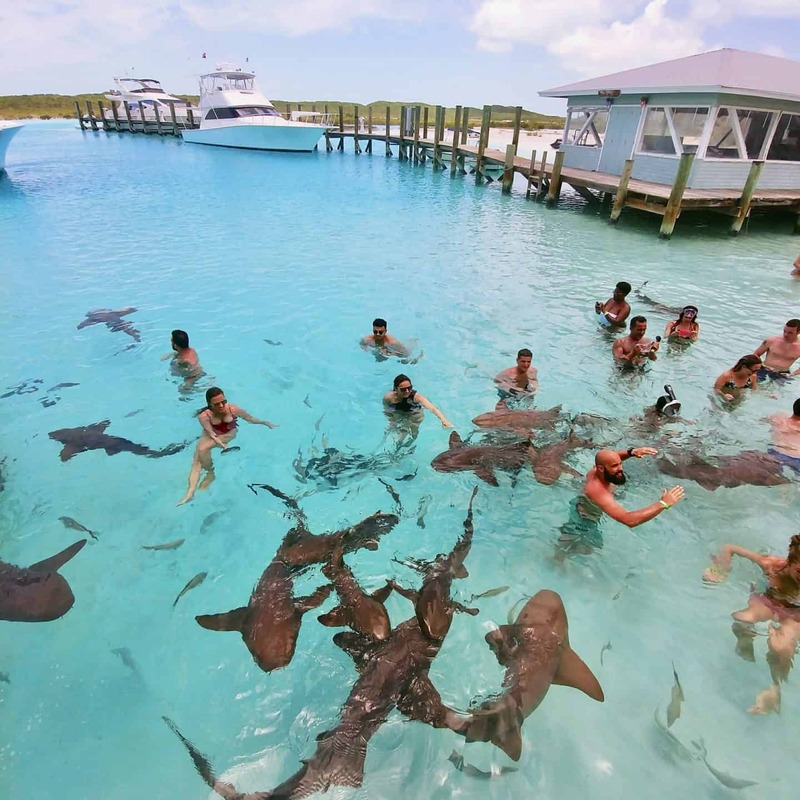 One of the top things to do in Exuma Bahamas is to swim with the sharks. It actually wasn’t as scary as it looks. I was mesmerized by the crystal clear waters as Compass Cay. When we arrived I immediately ran over to see people swimming with the sharks. If there was no one in the water, I likely wouldn’t have decided to swim with the sharks. I didn’t even hesitate. I dropped my bags and slowly climbed in as these creatures curiously swam around us crazy humans. These sharks were more like puppies than sharks. There was someone feeding the sharks off the dock. The sharks would swim up to the dock, and literally jump right on the dock, to be fed. I was a little terrified at first but found the courage to pet and touch the sharks. Their skin feels like hard, rough sandpaper. Swimming with nurse sharks in Exuma is definitely one of my most memorable experiences. I think I have a new love for sharks (at least the Nurse Sharks). If you’re a fan of the U.S. national parks, add Hawaii Volcanos on the Big Island to your adventure bucket list! You can see Volcanos as a day trip, but it also makes a perfect overnight stop if you’re headed to Hilo for waterfalls and rain forests next. Plus, you can ask at the park where to best see the lava flowing under the night sky. (It’s constantly shifting.) Kilauea, here at the park, is the world’s most active volcano. You can choose from dozens of incredible hikes at the park depending on your time constraints and level of fitness. We packed a picnic lunch and hiked the moderately challenging Kilauea Iki trail, a four-mile loop that took us 2.5 hours. It’s a Hawaii Bucket List experience for sure: We descended first through a misty rain forest and then walked across the moonscape that is the Kilauea Crater lava Lake. It’s a hard surface, but still steaming! 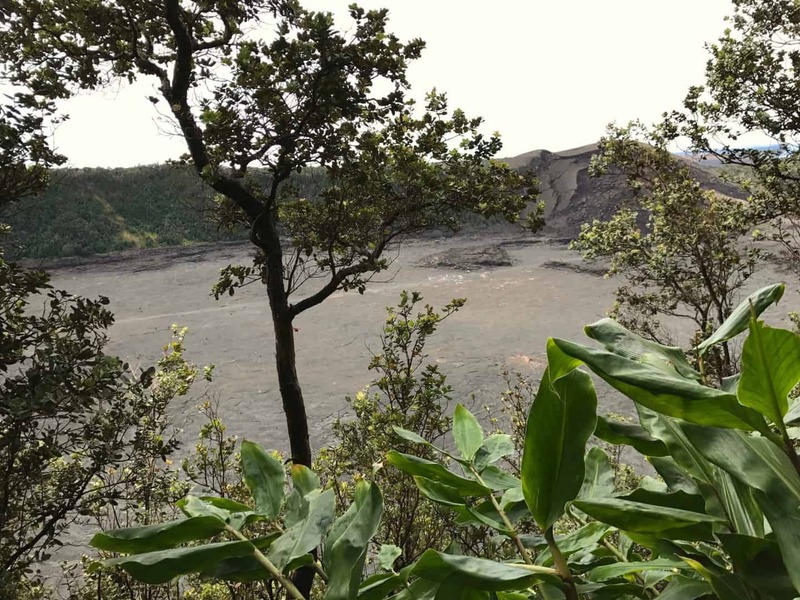 Other popular trails here include Devastation Trail (for viewing the Mauna Loa and Mauna Kea summits), the Halema’uma’u Crater Trail (more rain forest and crater floor with some switchbacks thrown in for good measure), and the Crater Rim Trail, which winds around the rim of Klauea Caldera. Wherever you hike, don’t miss the Thurston Lava Tubes. In just 20 minutes, you can walk through a real lava tube and imagine the river of red lava that rushed through a few hundred years ago. Swimming with the pigs in Exuma has become a very popular excursion. I would recommend this excursion as it is only one of the many stops along the way. 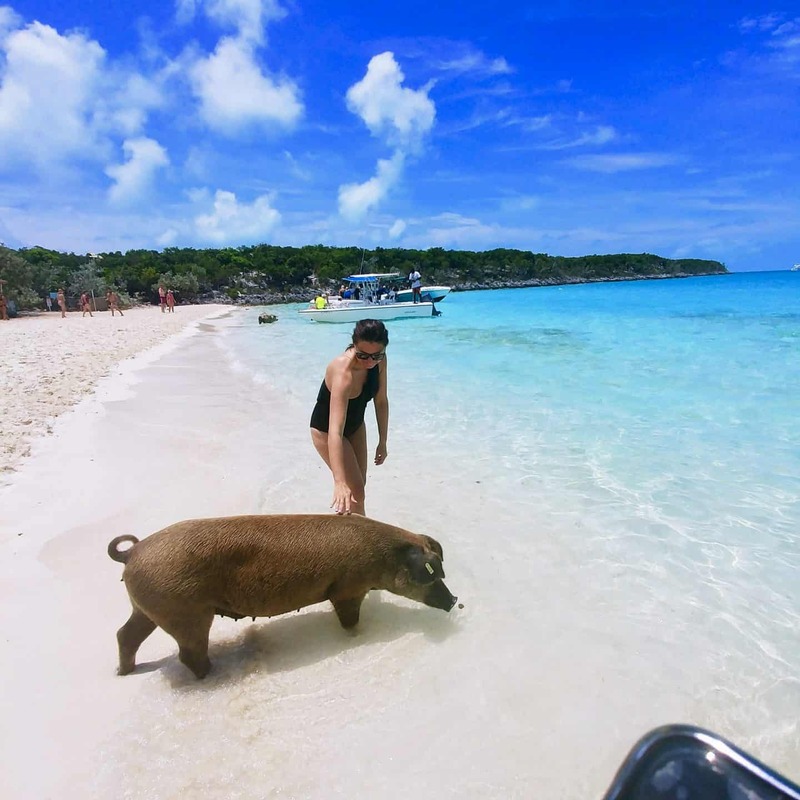 Although feeding pigs isn’t everyone’s cup of tea, it certainly is an interesting experience that you will only have the opportunity to experience in Exuma, Bahamas. This is one of the best things to do in Exuma. The one question I have been asked is can pigs swim? They absolutely can! These celebrity pigs will be very excited to see you. Don’t leave your bag lying around or you might find a snout pickpocketing your bag. If you love anything James Bond then you will have to snorkel the Thunderball Grotto in Exuma, Bahamas. The movie Thunderball was filmed here as well as Never Say Never Again, Splash starring Tom Hanks and Into the Blue with Jessica Alba and Paul Walker made it even more exciting. This was my first snorkel excursion ever so as you can imagine, I was terrified as I did not know what to expect. 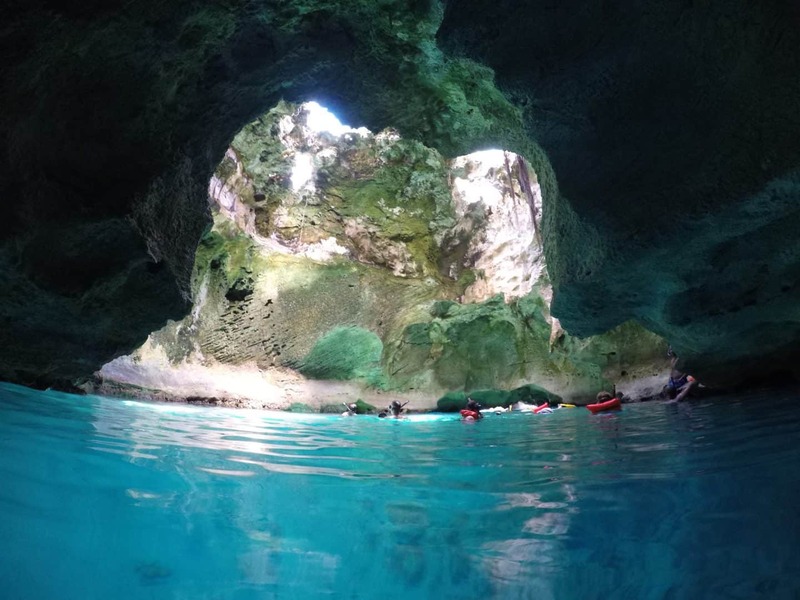 After putting on flippers and a snorkel, for my first time ever, we swam towards the opening of the grotto. As we entered the cave, we were greeted by a burst of light that was shining from the above opening. The water is extremely clear so get ready to see some beautiful colourful fish swim around you. There are few places on Earth that can get your adrenaline pumping quite like the Grand Canyon, one of the seven natural wonders of the world. That’s why watching the sunrise here should be on everyone’s bucket list, from the adventure-curious to full-on adrenaline junkies. Over the course of an hour, the sun slowly creeps over the canyon, illuminating the ever-changing colourful, striated walls of the gorge, which gets increasingly more stunning every moment that passes. For an exquisite sunrise view, head to Yaki Point, either a two mile walk from the Grand Canyon Visitor Center or catch the Orange Route shuttle to the Yaki Point stop. Once you’ve arrived, you can find a comfy spot to watch this natural spectacular and sit on the rim’s edge, letting your feet dangle some four thousand feet over the canyon’s floor. 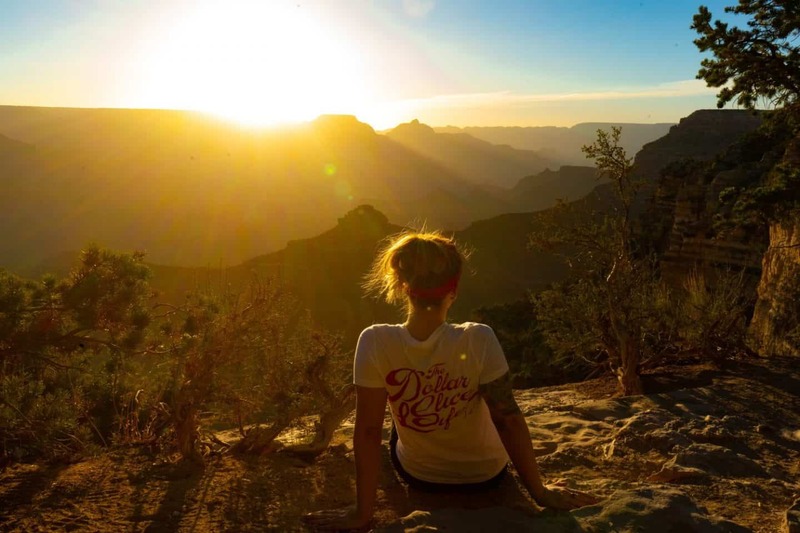 For an even more adventurous start to your day, take the popular South Kaibab Trail down under the rim some 600 feet so that you can catch the sunrise at Ooh Aah Point, which offers unparalleled panoramic views of the canyon’s rainbow-hued buttes and mesas. Winding down South Kaibab’s ridge line into the canyon below in pure darkness (using a headlamp, of course!) will certainly get the blood pumping, but nothing will ever take your breath away quite like the sunrise over this natural wonder. Check out the vegan’s survival guide to the Grand Canyon. Whitewater rafting is an exciting experience anywhere in the world but the otherworldly landscapes of Utah’s high dessert take river running to a new level. Not only can you test your mettle against world-class rapids but you’ll be camping in some of the most beautiful spots in the world. A week-long raft trip on the Green River through Desolation Canyon will reset your internal clock and refresh nerves frazzled by modern life. Or maybe you prefer a shorter, more serene float through Labyrinth Canyon with the added benefit of stargazing in one of the least light-polluted skies in the United States. 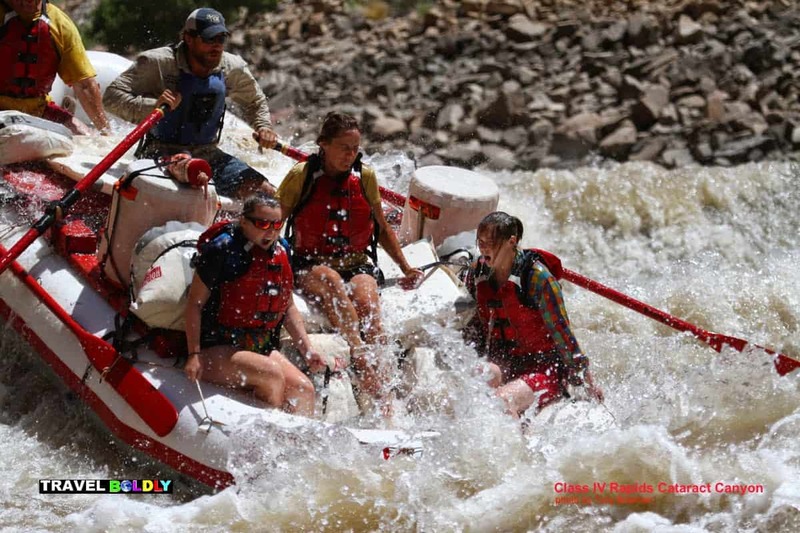 The pinnacle of Utah river trips is a voyage of discovery following in the footsteps of John Wesley Powell for a monumental expedition through the canyons of the Green and Colorado Rivers. This 18-20 day trip cuts a diagonal swath across Utah from Dinosaur National Monument in the northeast, through Labyrinth Canyon and Desolation Canyon into Canyonlands National Park and culminating in Cataract Canyon in the southwest, where the convergence of the Green and Colorado Rivers create some of the most challenging whitewater in North America. 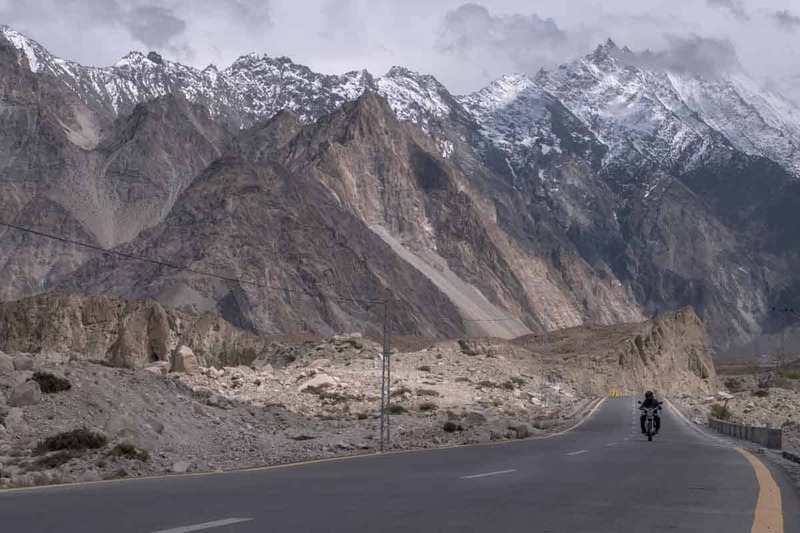 This is an adventure of a lifetime that will raise your adrenaline level to new highs. 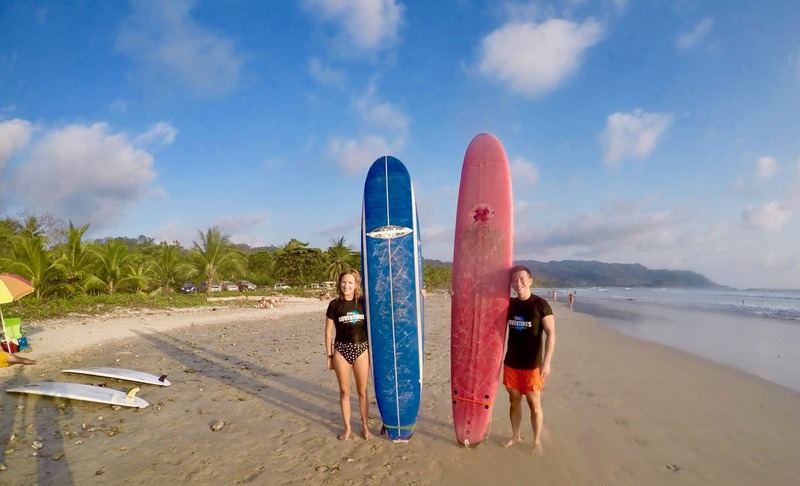 Learning to surf in Costa Rica has got to be on your adventure bucket list! Santa Teresa, a beautiful surf town on the Nicoya Penninsula of Costa Rica is the perfect place to get started. The Pacific coast of Costa Rica is well known for surfing and yoga retreats. With a laid back and friendly atmosphere, Santa Teresa welcomes surfers of all levels. There are lots of different surfing programs to choose from. We went with Ollie’s adventures for our surfing lessons and I would highly recommend them for your trip. Perfect for beginners, they went through all of the groundwork on dry land first before we went out into the open water. Once on the waves, I was so proud to be able to stand up for the first time! We may not have been the most graceful crew, but we loved learning just how tough it is out on the water! Don’t be fooled, learning to surf is a full body workout and I was sore for days after this adventure!! When you’re not surfing, be sure to check out the rest of the beautiful Santa Teresa, Costa Rica. The restaurants and food selection here is out of this world! We had the most mouthwatering dishes with some of the most spectacular views of the coast while visiting this amazing spot. 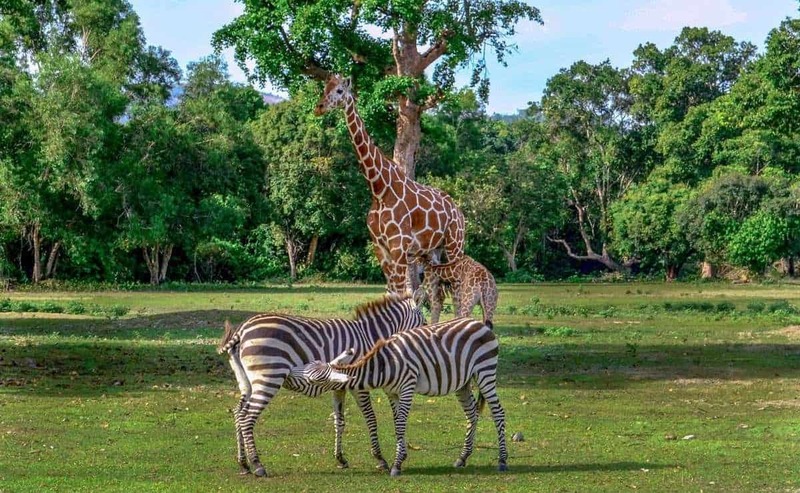 Add this to your bucket list, because it’s an experience you aren’t going to forget! The Great Barrier Reef is a favourite on many peoples bucket list, but for a really unforgettable adventure experience, I can highly recommend sleeping under the stars on a reef pontoon. Due to the location of this natural wonder of the world, it usually takes a couple of hours by boat to get there and most day trips only allow a short time to explore the reef itself. Reefsleep a tour by Cruise Whitsundays entails spending a whole 24hours on a floating pontoon. 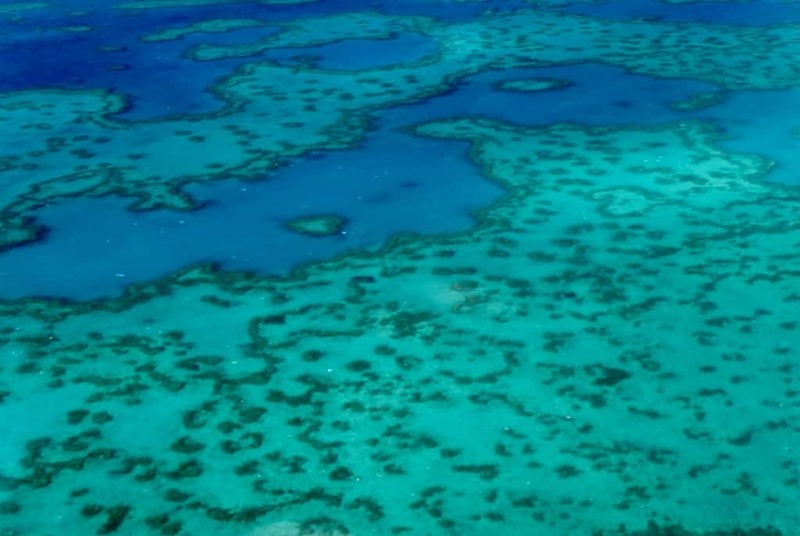 It departs from Airlie Beach in Queensland, and the Heart Pontoon is situated by Hardy Reef. During the day you can scuba dive, take a helicopter ride, enjoy the underwater observatory or take a trip on the semi-semi-submersible boat. However, the real magic happens once the day tourists depart. The tranquillity and remoteness of this location makes it a completely unique experience. You can snorkel till your heart’s content without other peoples flippers getting in the way. The late afternoon or early morning is considered to be the best time for snorkelling at the Great Barrier Reef, and I can vouch that the ocean was teeming with life. Swimming with the turtles and large grouper fish was daunting at first, but it soon became apparent that they were happy for us to be in their company. Dinner is a three-course meal to be enjoyed while the sun sets across the horizon and the night sky after dark is genuinely magnificent. We were able to clearly see constellations such as Scorpio and the milky way was glorious in all its colours. Sleeping in a swag under the stars was one of the most memorable experiences I’ve encountered on my travels, and I’d highly recommend it as a bucket list travel adventure. You can read more about this unique tour here. New Zealand is the hub for those who are looking for an adventure. 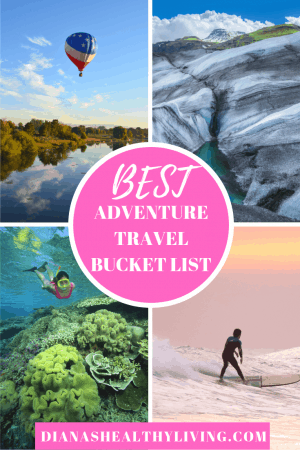 Although most people think of Queenstown in the South Island when they think about adventure but the North Island also has amazing adventure bucket list items. One of the coolest things one can do in New Zealand is Black Water Rafting in one of the Waitomo Caves to see the glow worms. Glow worms are a type of insects that emit lights to attract their prey during the larval stage of their lives. Most tourists take a boat tour to see the glow worms but it’s actually possible to do black water rafting to see them instead. What is Black Water Rafting? Black Water Rafting is using a black tube to float in an underground river inside one of the glow worm caves. The Legendary Black Water Rafting Company in Waitomo runs 2 types of adventures: The Black Abyss and the Black Labyrinth. 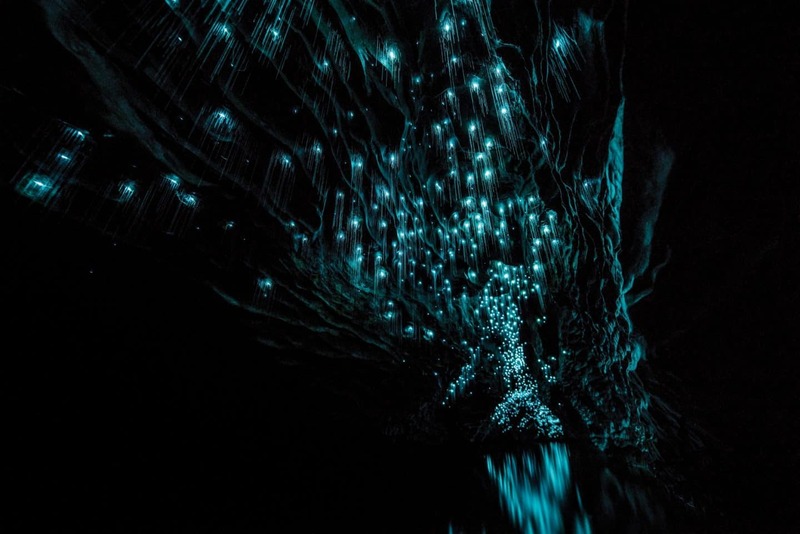 Both adventures involve jumping from small waterfalls, navigate in the water in an underground cave in the dark in order to see the glow worms. For those who are less adventurous, the Black Labyrinth is perfect since it is shorter and less physically demanding. The Black Abyss is a 5-hour adventure involves abseiling, zip lining and waterfall jumping in one of the Waitomo Caves. 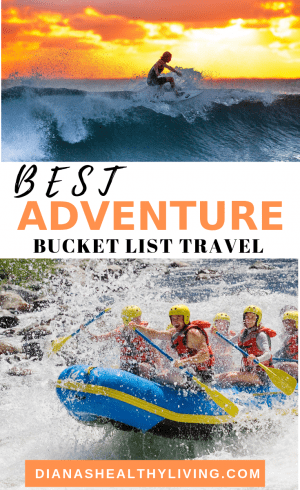 If you are visiting New Zealand then you simply cannot miss this adventure bucket list item. 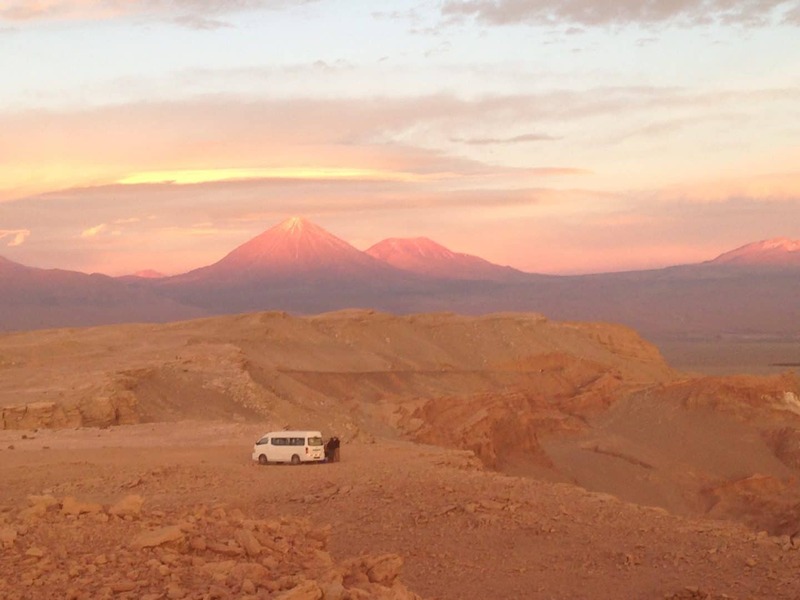 Visiting an active volcano is something many have on their bucket list. A Tanna Island day trip to Mt. Yasur is what you must do. 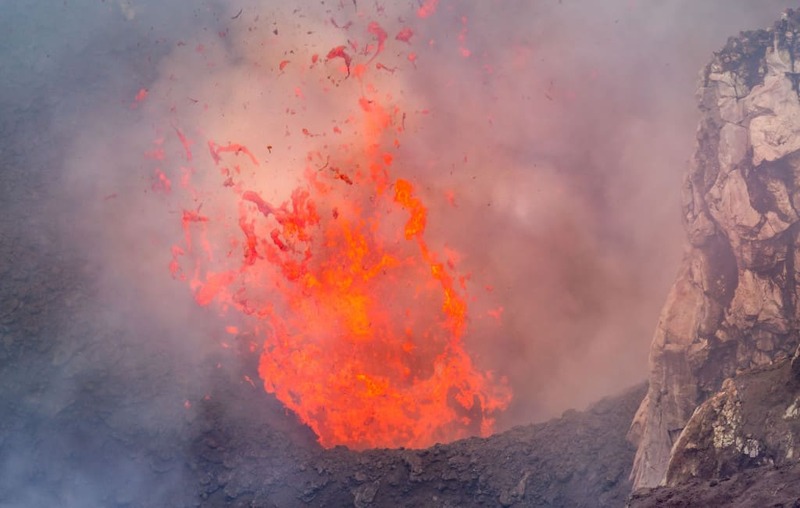 On Tanna Island, Vanuatu, you’ll find the most accessible active volcano on earth where you get within meters of erupting lava. Vanuatu itself is also a bucket list destination which can be reached from Australia, New Zealand, or Fiji. Once in Port Vila, it’s another 45-minute flight to Tanna Island. Be prepared for delays and don’t schedule your Tanna Island flight the same day of arrival. On Tanna Island, there is budget accommodation but also the luxury White Grass Resort which is highly recommended. They can also book the tour to Mt. Yasur volcano. The drive to Mt. Yasur takes 3-4 hours which is long, but the magnificent scenery makes up for this. There is a small rest area at the foot of the volcano where you can use the toilets but do not expect to be able to buy food or drinks. To be safe, bring your own. The reason Mt. Yasur volcano is the easiest one to reach is that a 4×4 car will drive you up the volcano. You just have to walk the last 100 meters or so to the crater rim. 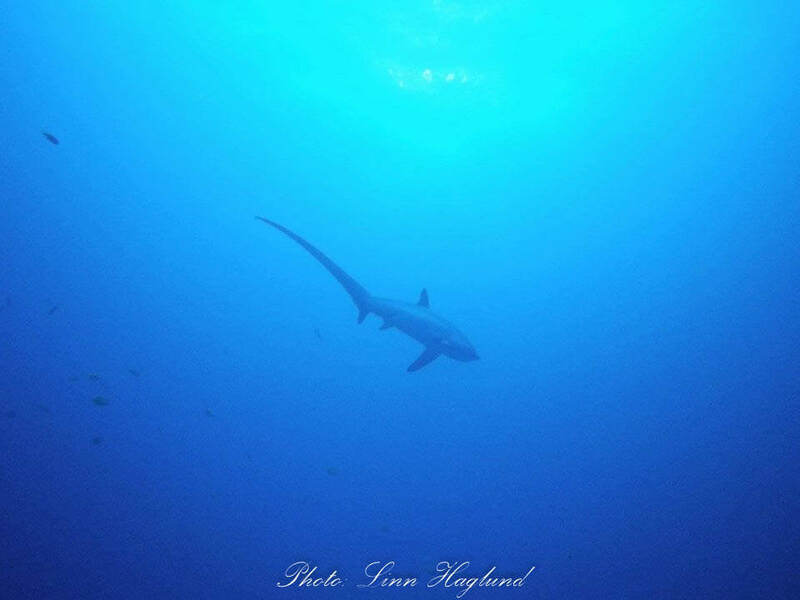 Freediving in Nogas Island is one of the adventures that people should do when travelling in the Philippines. 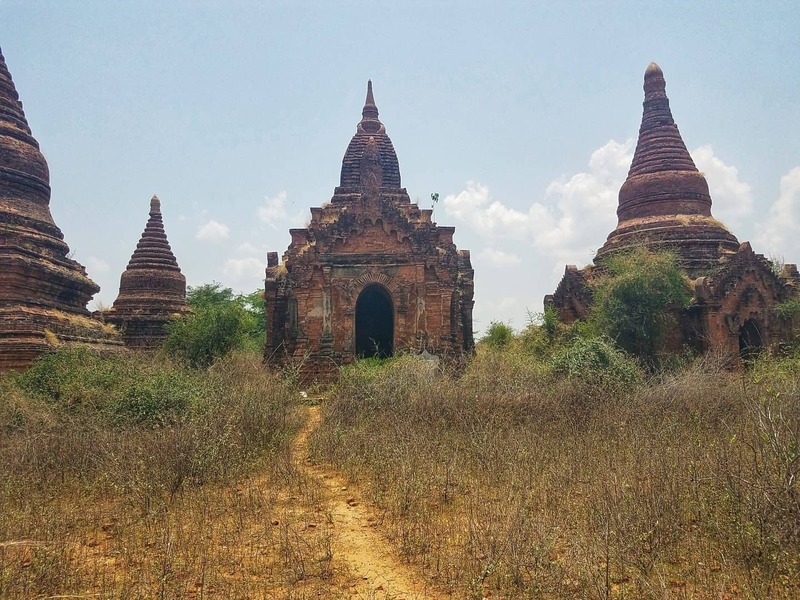 It is located on the western side of the country and belongs to the province of Antique. Its size is only 24-hectares with 4.8 km shoreline, its an uninhabited island known for clear water with turquoise swirls of sea colour in a delightful terrain and abundance of a variety of sea creatures on a tiny island. 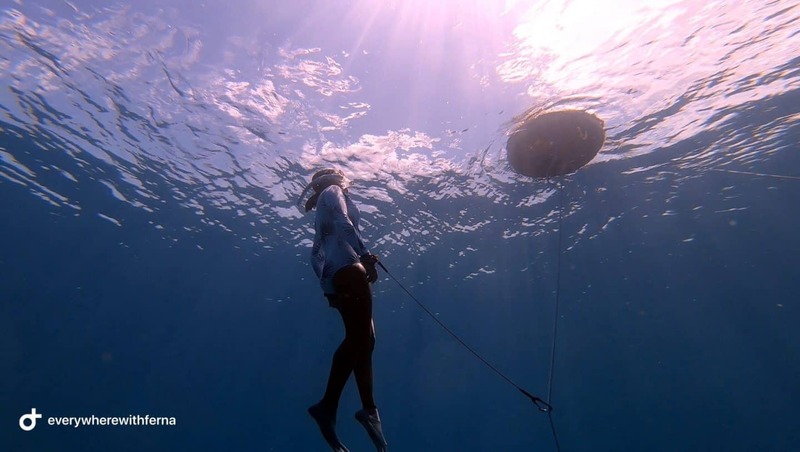 Thus, this makes as a bucket list to many because learning and having a freediving session in underwater with this sea colour and lively creatures will definitely make it the top adventure. This will be my official travel bucket list starting today! I’ve only accomplished 4 on this list. Thanks for sharing this! Saving it for my future travels.